The Poachers Pocket, run by Keith and Poppy, is a traditional British pub in the lovely little hamlet of Chelynch serving up good, home cooked food in a friendly and welcoming atmosphere. The menu is extensive (truly!) 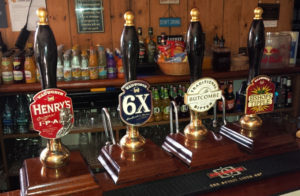 and they offer a great selection of wines and real ales to accompany your meal. During the summer months the g arden offers stunning views over the open countryside and during the cooler months you can cosy up next to the log fire. 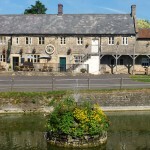 The Poachers is very much a ‘local’ pub for Shepton Mallet, Doulting and Chelynch but don’t be fooled into thinking that makes it an easy place to just rock up for a meal. Customers travel far and wide to the Poachers and reservations are essential any day of the week. Contact them on 01749 880220 before you set of on your hols! On any given night you might find yourself in the midst of a pub quiz or skittles tournament (there is a separate skittles alley at the pub). It all adds to a fun and relaxed atmosphere. The Poachers is open for lunch every day from 12 – 3 and for dinner from 6 p.m. Last dinner orders tend to be at around 9:00 p.m. Dogs are always welcome and the best news is that the Poachers is a quick 2 minute walk away right at the end of our driveway! 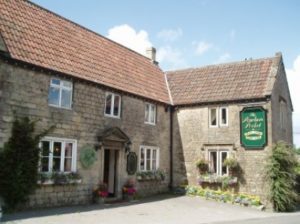 Expect great pub grub, traditional feel-good desserts and large portion sizes. 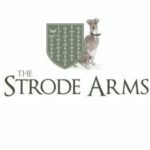 The Strode Arms, a short drive away (literally 5 minutes) was originally used as a farm house in the 15th century, and lies in the centre of the ancient village of Cranmore overlooking the beautiful duck pond; just off the A361. Run by Becky and her super friendly team and ably assisted by the beautiful Whippet Pearl, you can expect a warm hearted welcome when you arrive. Full of character and charm, it is the perfect place to enjoy with friends and family in any season and is also very much a ‘local’. The Strode is quickly gaining a reputation for delicious food and many of our B&B guests have given it 5 stars! The kitchen team at The Strode proudly advertise ingredients that are locally sourced and mainly grown and farmed right here in Somerset – often delivered to their door the same day. Can’t get fresher than that! Their a la carte menu consists of their take on the best traditional pub classics as well as more modern and inspiring dishes all created by Head Chef Tristan Green. Everything is cooked with care, creativity and impressive skill using quality seasonal ingredients. Fresh baked breads and home baked desserts are the cherry on top of the cake at The Strode. Try their Scotch Egg of the Day as an appetiser – they are amazing! Expect beautifully prepared food (with a fabulous creative twist), a great selection of ciders and ales, a varied and interesting wine list, an excellent selection of spirits and liqueurs and artistic dessert offerings. 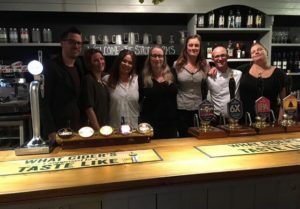 The Strode host some great pub quizzes too and we can proudly boast of spectacularly winning one (we did have Miss B&B and her lovely boyfriend on our team which probably accounting for us winning) and spectacularly losing another! 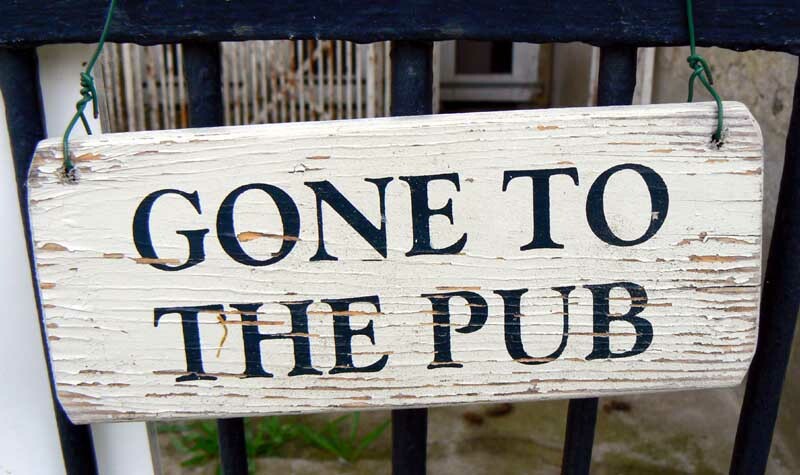 It’s all good fun and on quiz nights a great bar menu is available. You can follow the Strode team on Instagram for all that’s happening. Dogs are always welcomed too. Why not try both places when you stay with us – it’s what we would do!